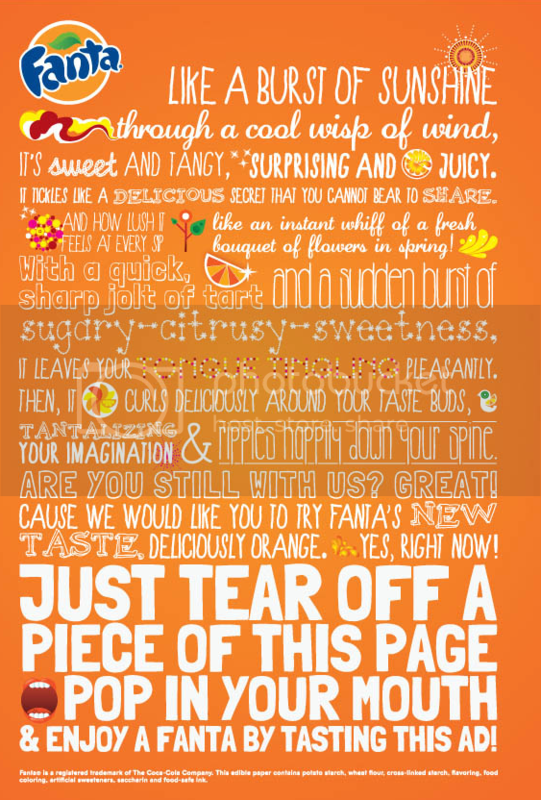 This new print ad from Fanta asks magazine readers to literally tear off a piece and try the new extra orange Fanta flavor. The flavored, edible ad was created by Ogilvy One. Hat tip, Business Insider.